A recent article in a popular fitness magazine featured several different “nutrition experts” discussing whether or not fruit was a good idea for those trying to lose weight. Two of the writers said fruit was bad, two said it was good. Along with this, it seems to be popular among people to knock fruit because of its “high sugar content”. So whats the verdict? Granted, I respect both of these views, and understand their reasoning, but the following is my personal take on these colorful carbs. Fruits are some of the most nutritionally dense, diverse foods that exist on this planet. This means that they pack a ton of micronutrients, antioxidants and very little calories. 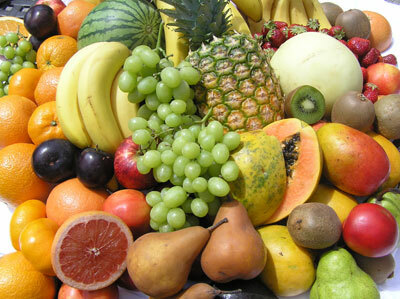 The calories in fruit come exclusively from carbohydrates, these being natural sugars and fiber. The relation of fruits and adding body fat comes from the idea that eating sugars increases insulin response, and thus can increase fat storage in the body. Biochemically, this is an accurate statement. However, as stated earlier, fruits provide many other powerful nutrients that something like an equivalent amount of a candy bar wouldn’t come close to providing. The average fruit consumption among Americans is only 1.6 servings per day (2010). This comes out to about 25-35 grams of carbohydrates per day, and 100 to 140 calories. If you were to consume the recommended 3-4 servings per day, that would come out to 45-60 grams of carbs and 180 – 240 calories. These amounts are hardly significant when it comes to fat gain. To the people looking to lose weight through a healthy lifestyle and worried about the carbs in fruit hurting them, my first question would be, “How does the rest of your diet look?” If you eat SO “cleanly” that you are concerned about carbs in fruit, I feel that they shouldn’t even be a concern. However, some of the people that will be concerned about fruit, yet they admit to snacking on chips, soda, processed sugar foods, etc. 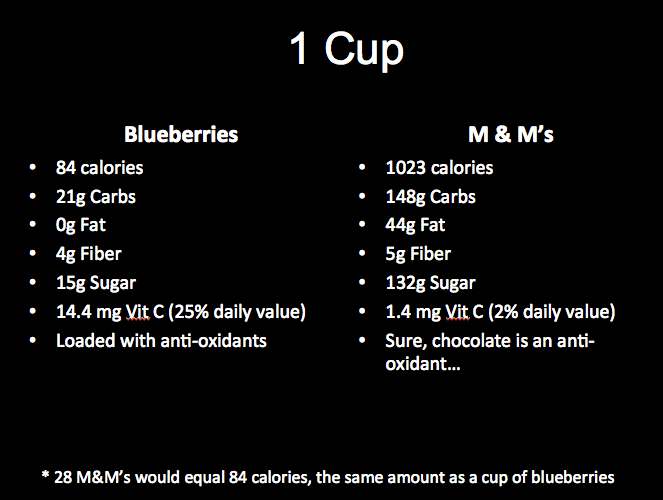 The bottom line is, fruits should be on the bottom of the “fat boosting foods list”, if even on the list at all. Fruits add a ton on vitamins, antioxidants and fiber to the diet. They help with fullness, keeping the diet diverse and fresh. Don’t fear fruits, eat more of them and take a good hard look at the rest of your intake before thinking that fruit is going to derail your current goals and progress. This entry was posted in Nutrition and tagged Carbs, diet, fat gain, fat loss, fruit, health, nutrition, wellness by Mike Gorski. Bookmark the permalink.